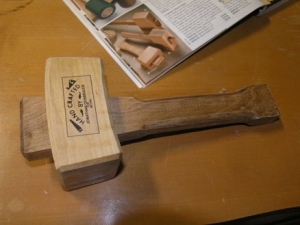 Homemade wooden mallet constructed from three pieces of 3/4" stock. Built in the style of a Lee Valley mallet. Beautiful piece of work! Seems almost a shame to use it.